The Palace Saloon is known as the oldest bar in Arizona and has served as host to many wily characters including Wyatt Earp and Doc Holiday. Welcome to the oldest frontier bar in Arizona - a place where men gathered for business, pleasure and everything in between. 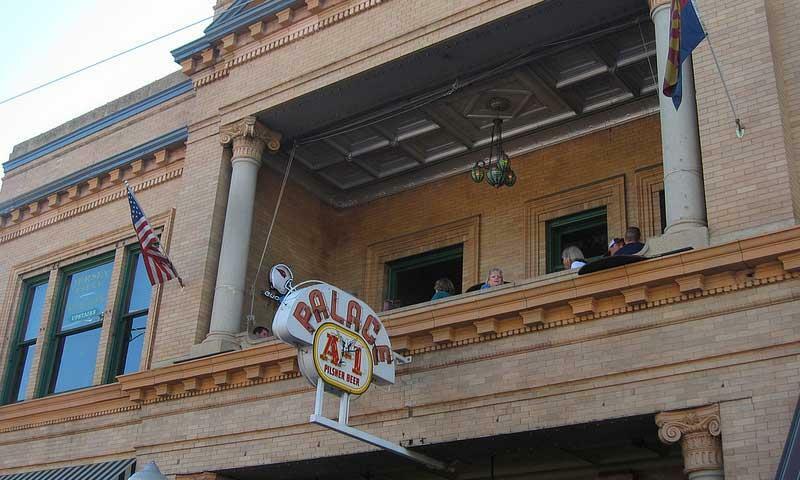 What can I see/do at The Palace Saloon? Be sure to grab a drink or some dinner at this historic Prescott location, or schedule your trip when there is a night of dinner theater on tap. The Palace Saloon is located right in the heart of Whiskey Row, at 120 South Montezuma Street. When is The Palace Saloon open? It is open from 11AM to 9:30PM, Monday through Thursday, as well as Sunday. They are open from 11AM to 10:30PM on Friday and Saturday. Give the saloon a call at 928-541-1996.